The Commonwealth Walkway Trust was established in 2012 with a donation made by the Jubilee Walkway Trust, the charity that established the first city Walkway in 1977 and maintained it for 40 years. The first marker on the Commonwealth Walkway was installed in 2014 outside the Glasgow Council Chambers at the start of the Commonwealth Games. Her Majesty The Queen, Head of the Commonwealth, has given her support, allowing each marker to display her personal EIIR Royal cipher and crown. 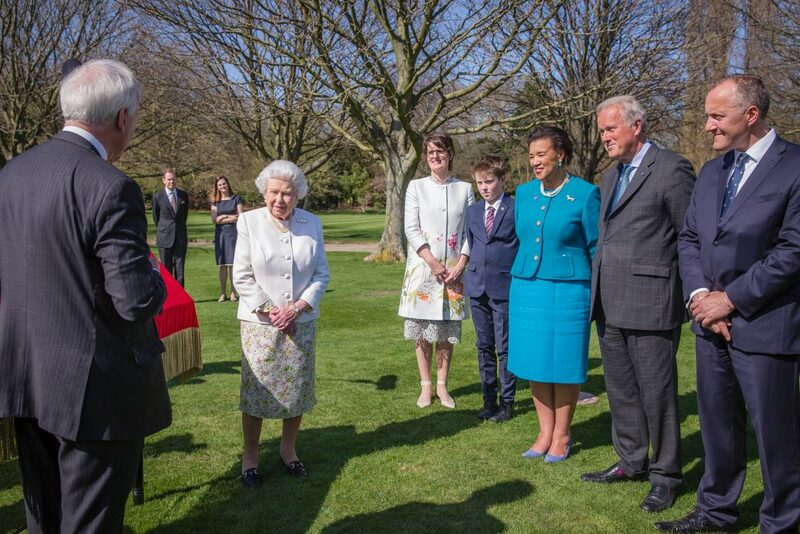 The Queen launched the first completed Commonwealth Walkway in Valetta (Malta) at CHOGM in November 2015 and since then has also launched routes in Windsor, on the occasion of her 90th birthday, and in London at CHOGM in April 2018. The Trust is primarily the coordinating body for the delivery of the Commonwealth Walkway initiative in collaboration with communities and authorities in each city. The Commonwealth Walkway is an inclusive, accessible and internationally appreciated initiative.The Trust manages the strategic promotion of the Walkway too with plans to organise an annual Walk for the Commonwealth on the route in the future.